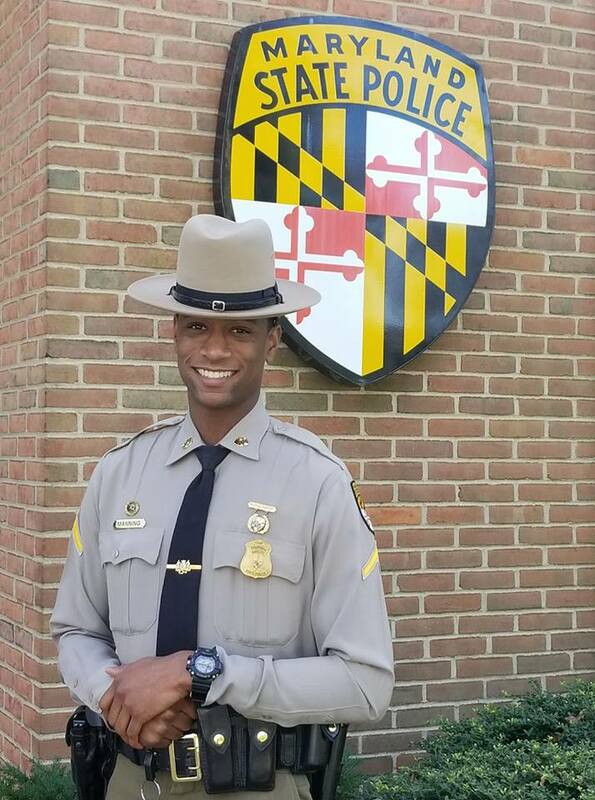 Please join us as we congratulate Trooper First Class Marcus Manning as the Maryland State Police Leonardtown Barrack’s Trooper of the Month for October 2018. Trooper First Class Manning demonstrates a high level of professionalism in his job as a Trooper. He continuously applies himself and is consistently conscientious in the performance of his duties. 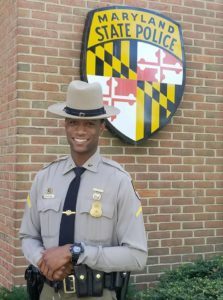 He is an asset and a role model for his peers and the Department. This entry was posted on November 7, 2018 at 9:48 pm and is filed under All News, Community, County, Law Enforcement, More News, St. Mary's News, z 600X120 Top Ad Bottom, z 600X120 Top Ad Top. You can follow any responses to this entry through the RSS 2.0 feed. Does this man’s accomplishment make you angry at your failures in life? Good job Marcus. Keep up the good work. You’re the man! A plea, for the police’s sake. We are still having cops shot, not around here. And fortunately a cop doesn’t have to get shot for me to make this comment. This is a reminder, and apparently we need a reminder until criminal justice reform is in place, and is observed, that : cops get shot because States Attorneys are requesting, and judges are giving, excessive sentences. Stop it with the excessive sentences and lets get a mission statement for incarceration. The police should have one, separate from the states attorneys office, separate from the judges. 3 different mission statements, at least. Ok, more than that. Different mission statements for the different times in jail. Not the same one for a life sentence as for 1 years. We don’t need an agreement from the judges, the States Attorney and the police about what jail is supposed to accomplish.